Toucans reside in the jungles of South America and Central America and live together in small-sized flocks made up of about five or six birds. They sleep in holes in trees and to make themselves smaller, roll up into balls. 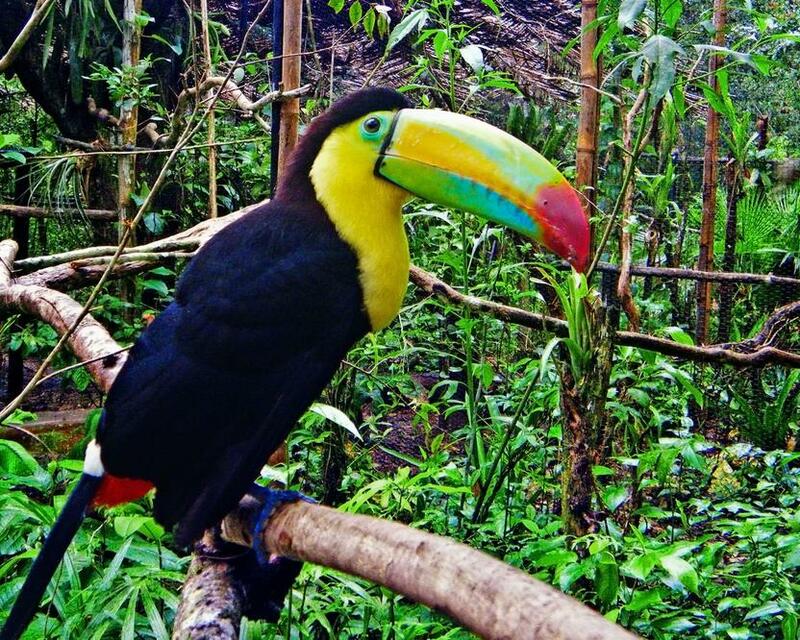 An average full-grown toucan weighs less than a pound - about 14 ounces or 400 grams. Full grown toucans are slightly less than two-feet long. From top to tail they are about 20 inches. Toucans have four claws: two on the front and two on the back, which allow them to cling to branches and balance on trees.